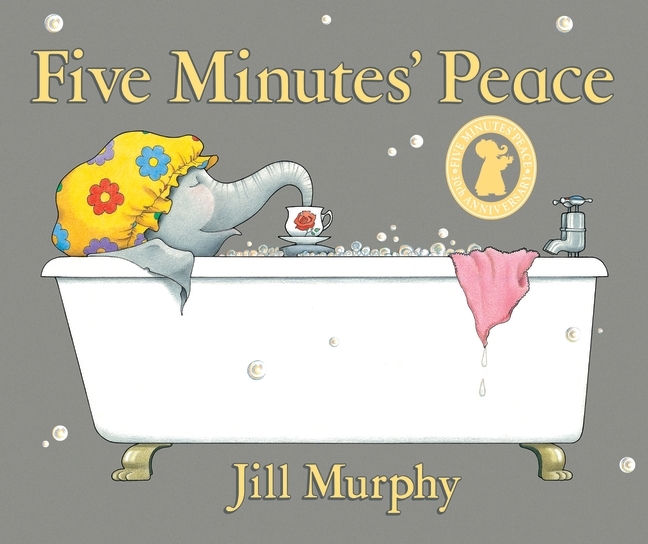 It's 30 years since Jill Murphy's picture book classic Five Minutes' Peace was published, and it's just as funny and accurate a portrayal of family life as when it first came out! Mrs Large just wants a few minutes of peace and quiet in her hot, foamy, ever so bubbly bubble bath. But with Lester, Laura and the baby being as bouncy and boisterous as ever, Mum finds her peace to be very short-lived! 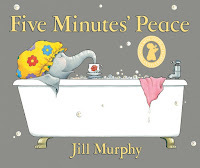 To celebrate the anniversary of this family favourite, we've teamed up with Picturehouse Cinemas to give ten lucky winners the chance to win a family ticket to their local Toddler Time screening, plus a Five Minutes' Peace goody bag including a copy of the book, stickers, a poster and a book bag! Toddler Time is especially designed to introduce preschool children to the big screen, with a carefully chosen programme of 30-minute shows, perfect for the littlest and most special audience. The winners of this competition will have the chance to go to see Q Pootle 5 during the week of 29th February. Check it out here. How many minutes' peace would Mrs Large like? Email your answer, along with your name and address to competitions@walker.co.uk with 'Picturehouse' in the subject line before 19th February 2016. Good luck!